Unpolished amber stones have the greatest amount of Succinic acid, which is directly absorbed into the skin and bloodstream. Succinic acid is highly antimicrobial, boosts immunity and anti-inflammatory. 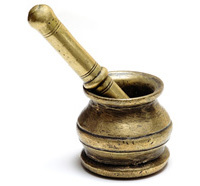 It has analgesic properties, which functions as a pain relief. 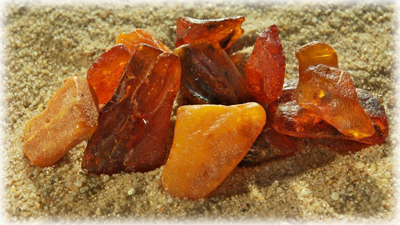 All of our products are made of unpolished raw amber which has healing properties. Succinic acid is directly absorbed into the skin and bloodstream. 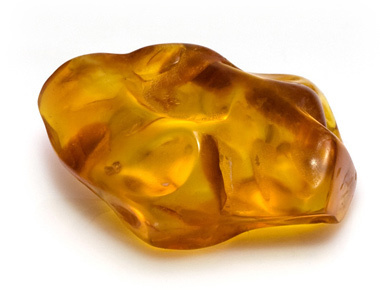 Amber is known to be natural analgesic. Amber is a fossilized resin, not a stone. It is therefore warm to the touch, as well as very comfortable and light to wear. Wearing Baltic amber necklaces and bracelets on the skin can have a soothing and calming effect on teething babies and toddlers. When amber is worn on the skin, the skin's warmth releases small amounts of healing oils from the amber which are then absorbed through the skin into the bloodstream. Amber's anti-inflammatory and therapeutic properties are also recognized by allopathic medicine. Tracked Worldwide Shipping for all orders. 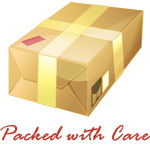 Prompt dispatch within 24 hours after the order is placed. Quick checkout using Credit Card or PayPal. 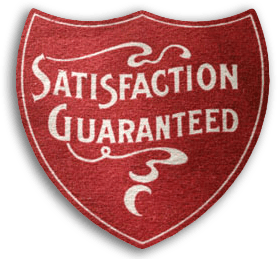 Check out our pricing policy. 100% Natural Baltic Amber stones. NO artificial processing. Certificates of Authenticity (paper tags) can be included for all the items. Amber is technically not a gemstone or mineral, but instead is fossilized tree sap from prehistoric trees that grew as far back as almost fifty million years ago. The radical climate change took place sometime in periods between 10 and 100 million years ago, the resin-bearing trees fell down and were carried by rivers to coastal regions where eventually they were covered by sediment and began to go through a number of changes. The result of this metamorphosis is a natural material with extraordinary properties. The world's largest Amber deposits come from the shores of the Baltic Sea, where Amber has been harvested, traded, and crafted into decorative objects for at least 13,000 years. Amber is known as the gold of the Baltic Sea. The most famous and sought after is Baltic Amber from the Baltic Sea which is generally accepted as the finest Amber in the world. Although large part of Amber stones are sea born, meaning that rivers and streams carried them to seas and oceans, the major share of worldwide amber resources is hidden deep in the underground similar to that of minerals. Baltic amber has been historically significant in medicine dating back to prehistoric times. Small pieces of amber have been found inserted under the skin of ancient Egyptian mummies. The Egyptians believed in amber's power to stop destruction and decay. The ancient Romans and Greeks believed in the magical power of amber, they even buried people with amber necklaces as a symbol of influence and power. In ancient China it was customary to burn amber during large festivities. This practice both signified the wealth of the host as well as honoring the guests. The earliest written records of amber's healing properties are found in the works of Hippocrates. He documented that a short string of amber beads worn around the neck brought relief to the wearer in some cases of severe head, neck and throat complaints. Wearing amber bracelets was thought to be beneficial to sufferers of rheumatism and arthritis and reduced fatigue and feelings of general weariness. A similar effect was said to be achieved by rubbing the body with a fairly large piece of the mineral. Interestingly, Martin Luther carried a piece of amber in his pocket as a protection against kidney stones. Various otter creams, balms and infusions of amber steeped in alcohol were also recommended for external use. All manner of concoctions, of which amber was the main ingredient, were also widely used to remedy respiratory complaints, asthma, bronchitis, bowel and bladder disorders, heart problems and ailments of the circulatory system. Scientific research has determined that amber worn against the body releases natural oils onto the skin that are then circulated into the bloodstream. These oils induce a calming effect and have analgesic (pain relieving), antispasmodic (eases the muscles helping relieve colic and gas), and febrifuge (fever reducing) properties. That is why Baltic amber necklaces are commonly used to relieve teething pains for babies. Obviously amber has always been widely used in jewelry and arts. Many jewelers who create outstanding designs enjoy working with amber because of its unique feature to spread the warmth. It is also a relatively soft material with various color shades, thus a piece of amber jewelry can include a stunning arrangement of tones and hues. Amber jewelry is a product of nature, with its unique inclusions, colors and textures every piece is never the same. That's what adds extra character, beauty and mystery. Amber is also important in religion as it was used in various rituals. For example, Mohammed stated that a true believer's prayer beads should be made of amber. Well-crafted amber jewelry lasts forever.